Ann Dahl - Western Ecosystems Technology, Inc. - Western Ecosystems Technology, Inc.
Ann L. Dahl, PhD, joined the WEST staff as a Research Biologist in 2006. Ann received her B.S. 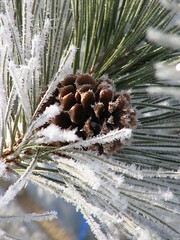 in Wildlife Ecology and Conservation from Northwest Missouri State University, a M.S. 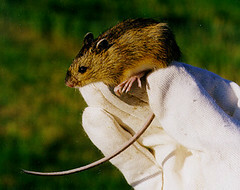 in Wildlife Sciences with a minor in Experimental Statistics from New Mexico State University, and a Ph.D. in Wildlife Sciences from the University of Washington. 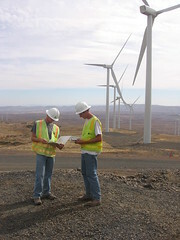 Ann is proficient in international pre- and post-construction wind energy facility assessment including initial site visit and reporting, bird, nest, and lek surveys, habitat mapping, supervision of field personnel, and report writing. 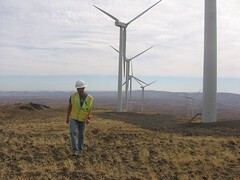 She provides GIS support for wind, pipeline, and transmission line projects as well as data management, data entry, and QAQC of data. Ann serves as the Branch office Health and Safety Coordinator for the Bismarck office. Ann has a strong background in avian studies and is proficient in bird nest searching, behavior monitoring, and habitat assessment. She has surveyed breeding birds, including waterfowl, shorebirds, and grassland birds. She also has experience in wetland ecology, limnology, landscape ecology, and hydrology. 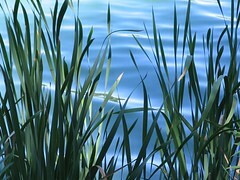 Types of hydrologic analyses conducted include delineation of watershed basins, computation of water flow direction and accumulation, and determination of watercourses. She provided GIS support for a project examining the impact of wetland drainage and restoration on flood water storage capacity and developed a GIS-based decision-support model for prioritizing wetland restoration sites. 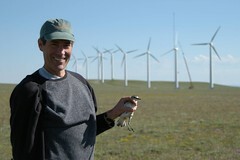 While working at WEST, Ann has conducted or assisted with the following specialized efforts: 1) GIS-based whooping crane and northern long-eared bat habitat assessments, 2) literature review of wind energy and waterfowl interactions, 3) Environmental Assessment for a wind project in Minnesota, and 4) Platte River whooping crane resource selection function model.